These are really simple, soft, and flavorful cookies. They’re easy to put together and so pretty (the coconut manna makes these lighter colored and just delicate). The lemon flavor dominates, with ginger adding a lovely accent note. 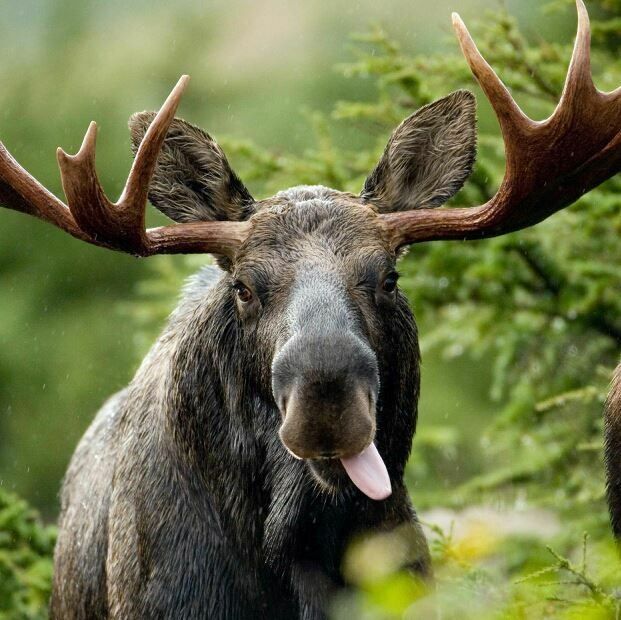 The only thing I moose warn you about is that … well, I’m pulling out the cliche of: “do as I say, not as I do” here. 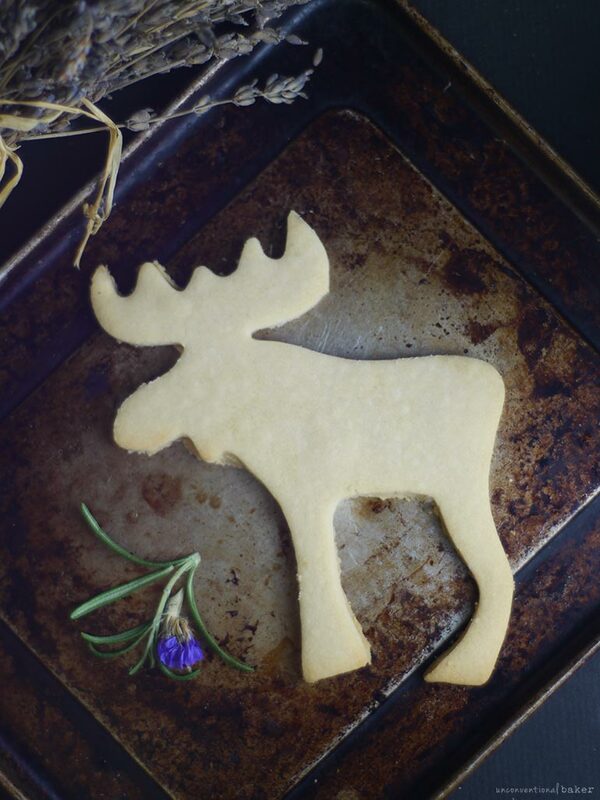 I used a very large moose cookie cutter (from this collection), and ended up with 3 large cookies + a few extra little “knobs”, instead of say the 5-6 smaller cookies that this recipe could yield otherwise. Because of the presence of coconut butter in this recipe, the cookies cannot bake as long as some of my other cutouts (coconut butter starts to golden up and burn quite quickly). As a result the cookie has a slightly softer consistency, which means it’s not really sturdy enough for giant / delicate-limbed cookies. Whoops. 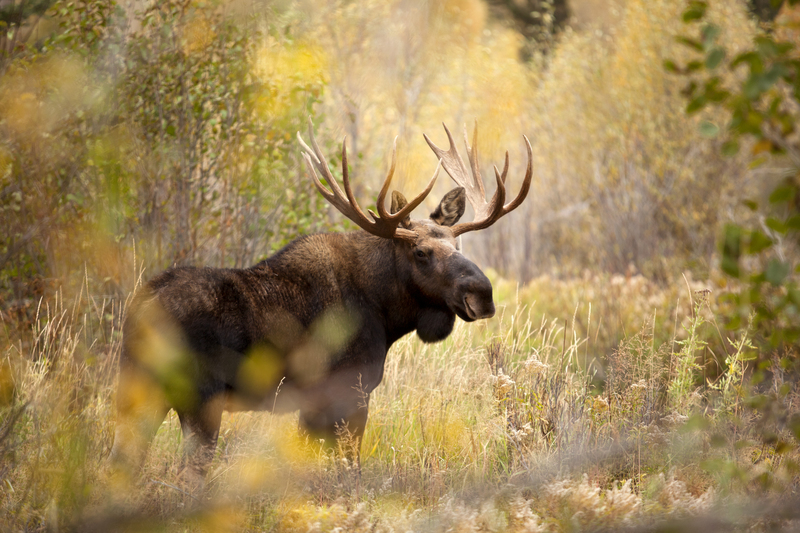 As you can see, my moose survived (well two of three did. The third was missing a leg shortly after the photo taking was over — poor fella!). The point is, smaller cookies would be best / less fragile / easier to handle. And easier to gift in one piece too. A soft, simple flavorful gluten-free cookie made without nuts. 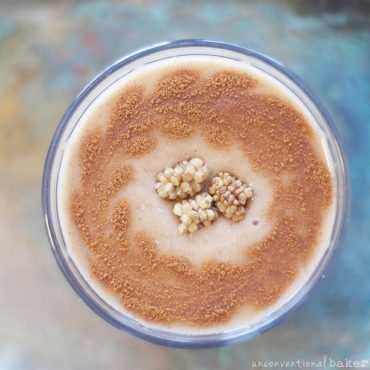 Easy to throw together, with a beautiful light lemon and slightly spiced ginger taste. Vegan. Process all ingredients in a food processor until the mixture begins to form a ball (note if the mixture is too sticky, add a bit more flour, if too dry, add a bit more maple syrup). Form the mixture into a ball with your hands and knead briefly, then flatten into a disk. Place the disk between two sheets of parchment paper on a flat surface and use a rolling pin to roll out into an ⅛” thickness. Use a cookie cutter to cut out as many cookies as you can — transfer those onto the prepared cookie sheet (very carefully!). Gather remaining dough scraps, form into a ball, and repeat the process of rolling out and cutting out more cookies until you run out of dough. Bake in a pre-heated oven for approx 10 mins (they are ready when they begin to golden around the edges). Remove from oven and allow the cookies to cool a few minutes (they will firm up a bit as they cool off). Enjoy! 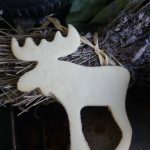 This recipe contains an affiliate link to the cookie cutters I used. 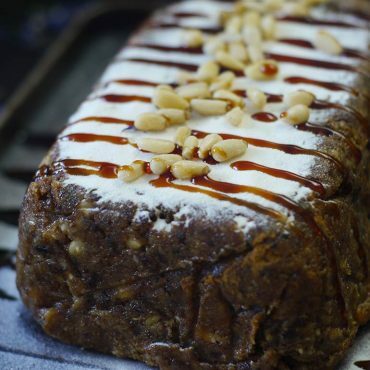 Do you think this would work with cashew or almond butter? They look easy to make and so soft! Cute, so cute, Audrey! Thank you so much! You mention the coconut butter tending to easily brown and burn, but there’s no coconut butter in the recipe. Hi Karen, oh my goodness — thank you for pointing it out. I mistyped cashew (force of habit :S) instead of coconut, it’s 3 tbsp of coconut butter in there. All fixed now. We are going to have a cookie woodland forest scene going on here pretty soon! 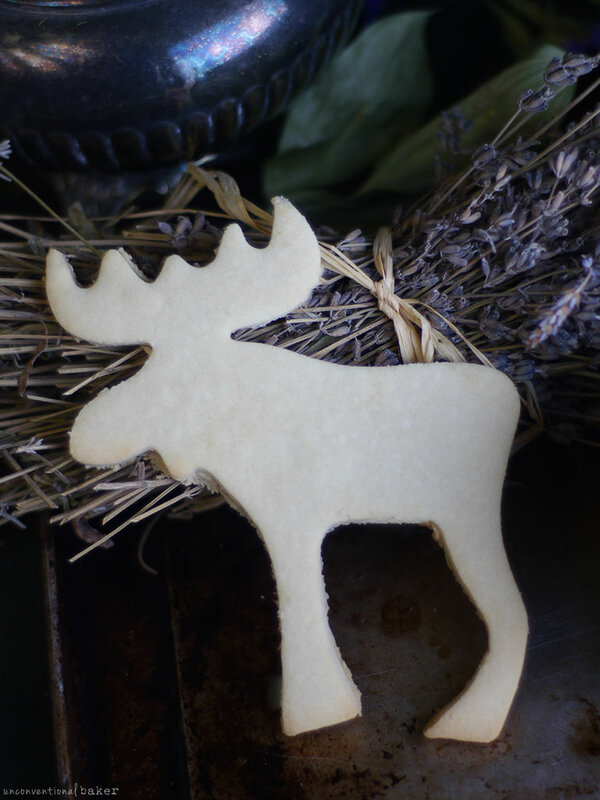 And it will be adorable and delicious :D Mr. Moose sounds like a delicious flavor even if he is not the sturdiest creature around. 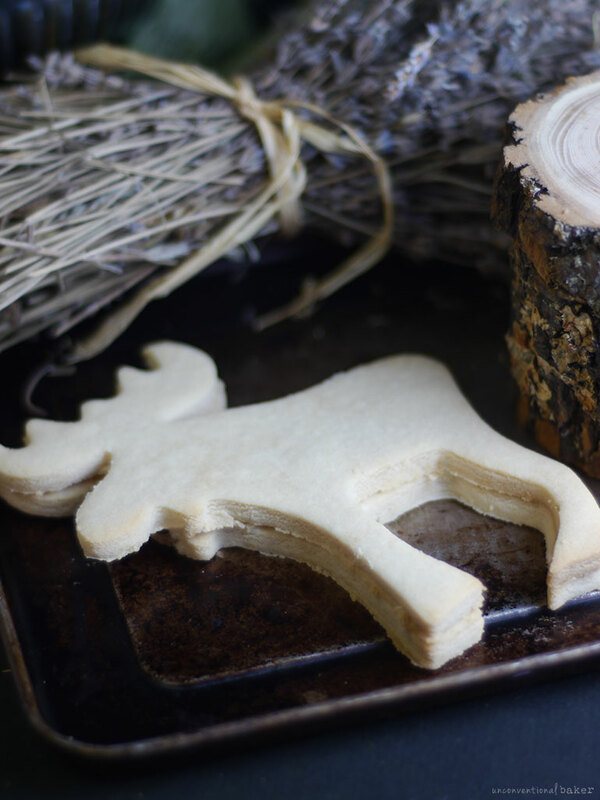 I find any cookie cutter with little legs or worse yet antlers to be a bit tricky, but I never mind eating up the pieces either :) Lemon + ginger + vanilla–I’d happily eat that cookie in any shape! Hehe. I think my woodland scene is complete now — fresh out of animal cookie cutters for the time being ? Except I made some dinosaur cookies I’ll have to share sometime… so maybe there’ll be a prehistoric woodland follow up one day ?